Laçi Stadium (Albanian: Stadiumi Laçi) is a multi-use stadium in Laçi, Albania. It was is used mostly for football matches and hosts the home games of KF Laçi of the Albanian Superliga. The stadium has a capacity of around 11,000 people. 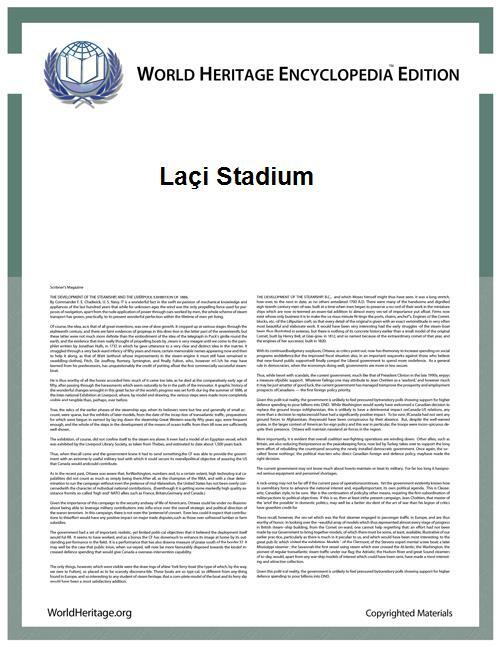 Following a very impressive 2009-2010 campaign Laçi's directors turned to reconstructing the current stadium in hope of gaining the UEFA licence to stage their Europa League games at their home ground. The club installed 4500 plastic seats into the "Karshi" stand. This article about an Albanian sports venue is a stub. You can help World Heritage Encyclopedia by expanding it.